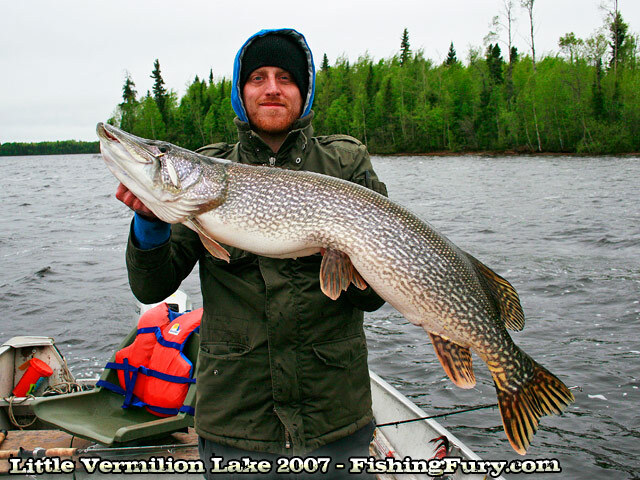 Category: Little Vermilion | FISHING FURY - A Fishing Blog with Attitude! 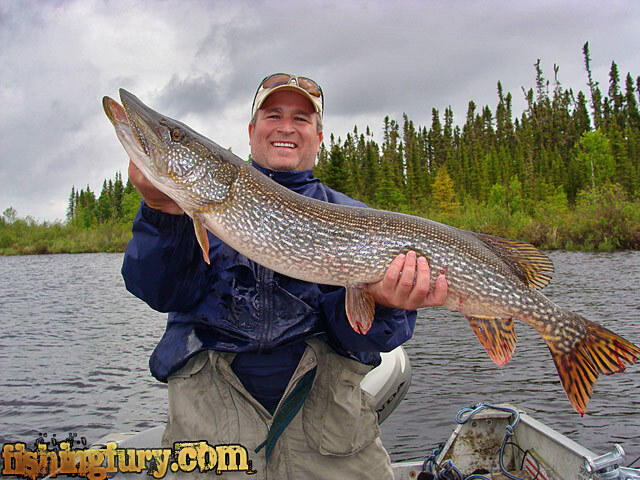 We have been pretty spoiled when it comes to pike fishing. 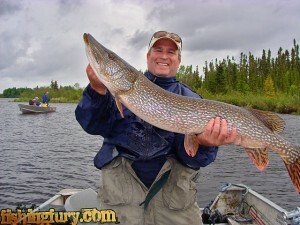 We have had the opportunity to fish some of the best pike water in the world, not once, but twice! 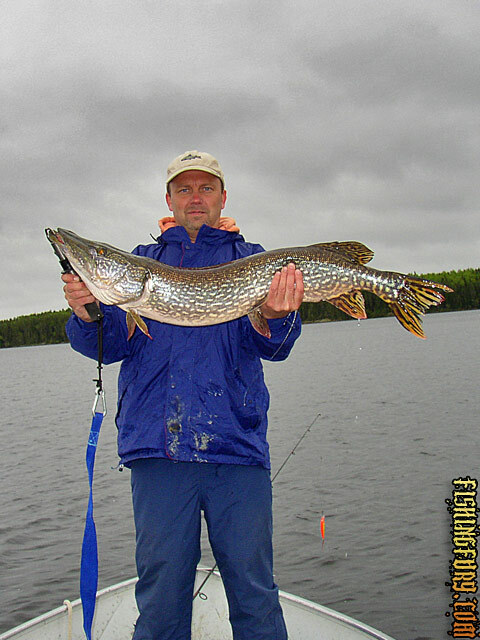 Originally we visited Sportsman’s Lodge on Little Vermilion Lake in 2005 and we were promised big pike. Not only did we catch big pike, but we got a lot of pike. Finding fish was easy on our first trip, but in 2007 things were very different on Little Vermilion. We faced extremely cold weather and high winds at the end of May and leading into June. We battled through snow and rain early on, and by our last day of fishing the sun was shining and the weather warmed up. We didn’t catch as many fish, but we had several fish over 40 inches, and a couple that weren’t too far from 50. 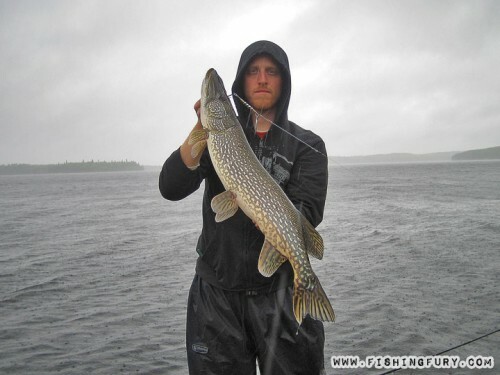 Jon with a beefy Little Vermilion pike! Clive with his biggest pike to date! The end of May is a magical time for pike fishing in Ontario, which is why I can show you two awesome pike photos taken on today’s date. The first image is from 2005 when Clive and I first visited Little Vermilion Lake at the recommendation of a good friend. 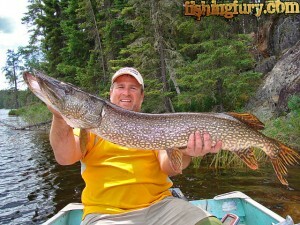 The second image is from our return to Little Vermilion Lake in 2007! This year has been a year of catching nothing but small fish so far. I’m not complaining, the fishing here in Nova Scotia is great, but those massive Ontario fish are hugely responsible for my love of fishing. At least I can take some satisfaction in helping others catch some big fish this year. 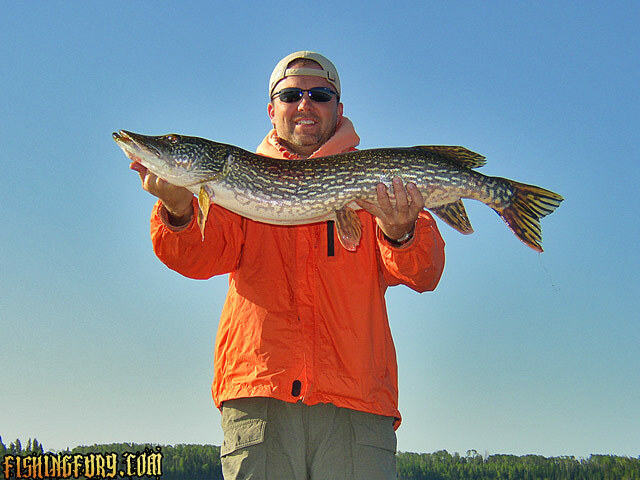 Our reports of monster pike at Little Vermilion have received plenty of attention and we are always happy to divulge locations and lures to help our readers have success. 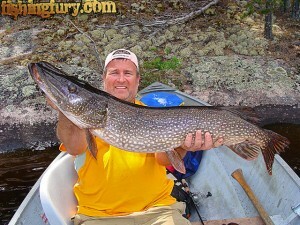 I was contacted by Ken a while back asking for some advise on fishing LV, and as a result he had a great trip. 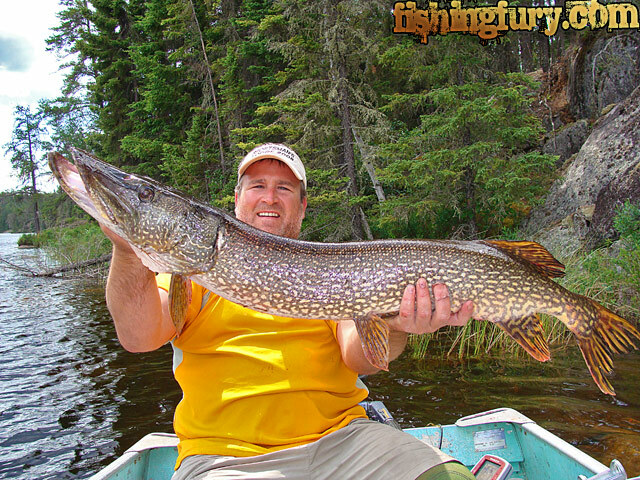 Of course we cant take all the credit, Little Vermilion is a great lake and Ken is an experienced angler, check out his recent catches – this is what fishing Ontario is all about! At Sportsmans we had 5 people and did very well – 24 Trophy’s and forget how many slots. 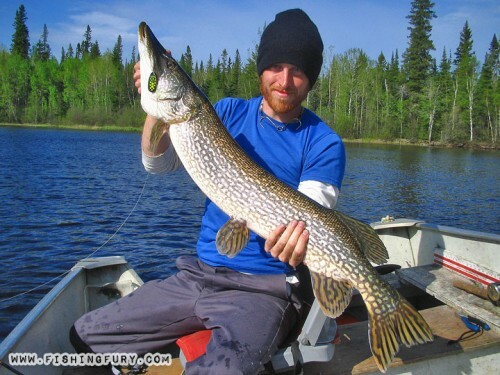 We’re clearly not the only ones who love the pike fishing at Little Vermilion Lake in Ontario, Canada. 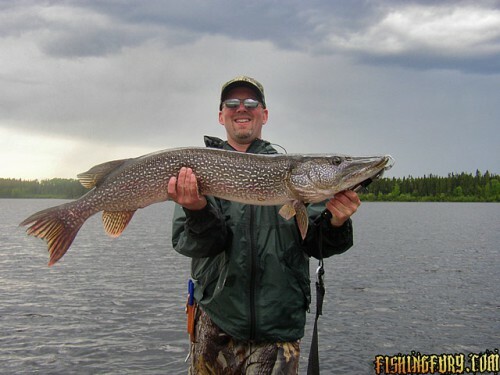 Many of our readers have made the long trip up to the lake in search of trophy pike, and as usual the latest visitors to Little Vermilion were not disappointed! On this trip, I caught 6 fish that were over 40 inches and 15 #s (Our group of 4 guys caught 10 fish over 40 inches and 15#s.- that was our definition of a big fish). My two biggest fish were both 45 inches and 22#s and 20#s. 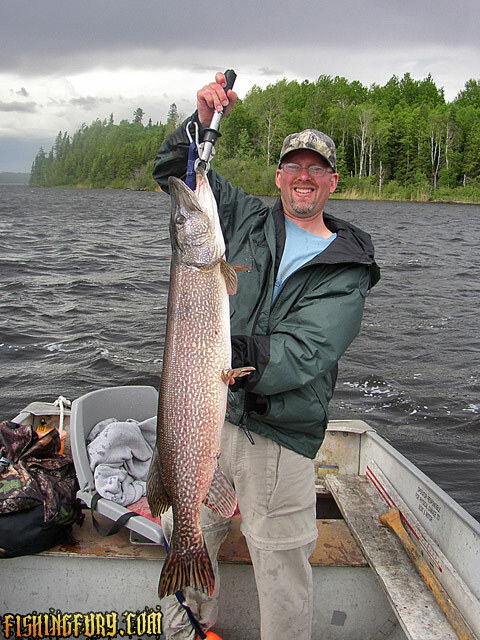 The others were 41-42 inch range and weighed 15-18#s, which are also very nice fish.